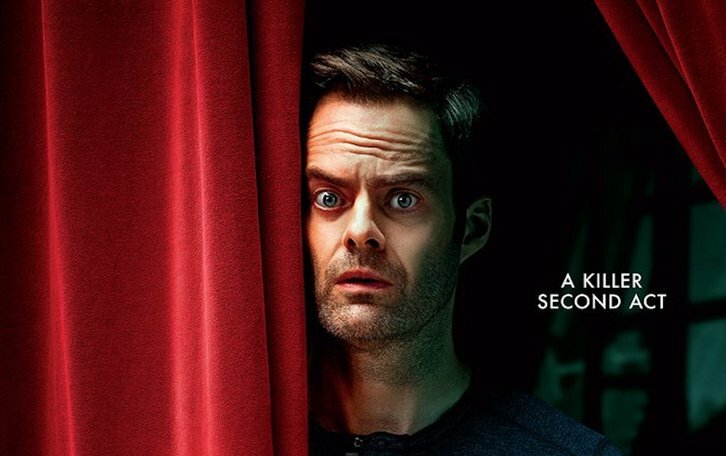 The dark comedy series BARRY, starring Emmy® winner Bill Hader, returns for its eight-episode second season SUNDAY, MARCH 31 (10:00-10:30 p.m. ET/PT) on HBO. Alec Berg (HBO's "Silicon Valley") and Hader ("Saturday Night Live") are co-creators, executive producers, directors and writers. Other cast regulars include: Stephen Root ("Get Out") as Monroe Fuches, Barry's former handler, contemplating a future without his primary source of income; Sarah Goldberg ("Hindsight") as Sally, a dedicated acting student who is Barry's love interest; Anthony Carrigan ("Gotham") as Noho Hank, now in the hot seat as the new head of the Chechen mob in LA; and Emmy® winner Henry Winkler ("Arrested Development") as Gene Cousineau, a pompous yet endearing acting teacher who takes Barry under his wing. As season two opens, Barry struggles to focus exclusively on the theater and his girlfriend and classmate Sally, hoping against hope to rid himself of the ties that bind him to the Chechen mob group now led by Noho Hank, who ascended to the top job after Barry whacked his boss last season. Although he's persuaded grieving acting coach Gene Cousineau to return to class, Barry is incapable of extricating himself from a violent criminal triangle involving the Chechen, Bolivian and Burmese underworlds - not to mention some deeply suspicious LA detectives. Meanwhile, on the Midwest horizon looms Monroe Fuches, Barry's erstwhile boss, who has found it exceedingly difficult to hire a replacement in Cleveland as capable as his onetime ace assassin. Season 2, episode 1: "The Show Must Go On, Probably?" Barry (Bill Hader) tries to convince Sally (Sarah Goldberg) and the rest of the class to go ahead with a performance, despite the absence of teacher Gene Cousineau (Henry Winkler), who's grief-stricken after the disappearance of Detective Moss. With Goran gone, Noho Hank (Anthony Carrigan) and Cristobal's (Michael Irby) new partnership faces growing pains and jealousy issues. Back in Cleveland, Fuches (Stephen Root) learns that replacement hitmen don't come easy. Barry returns this spring! Barry returns March 31st at 10PM on HBO.